Earrings are undoubtedly ancient. Archeological evidence shows men and women of Mesopotamia wearing earrings thousands of years before the Common Era. When King Tutankhamun was buried in his finest in 1232 BCE, his ensemble included earrings, which were popular in Ancient Egypt. Greek and Etruscans brought refinement to the ear hoop with advances in goldsmithing in the first century BCE. Later, Roman jewelry-making expanded beyond hoops to include disks and hanging earrings with pearls and gems to suit the finer tastes of the growing elite. 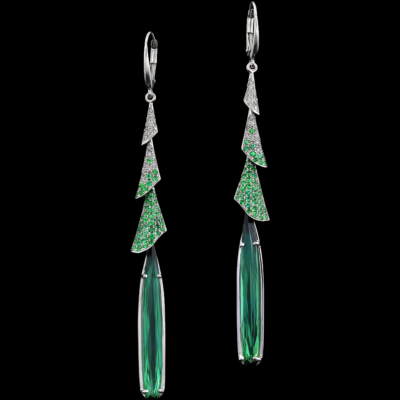 More than any other type of jewelry, history shows earrings responding to the fashion environment. 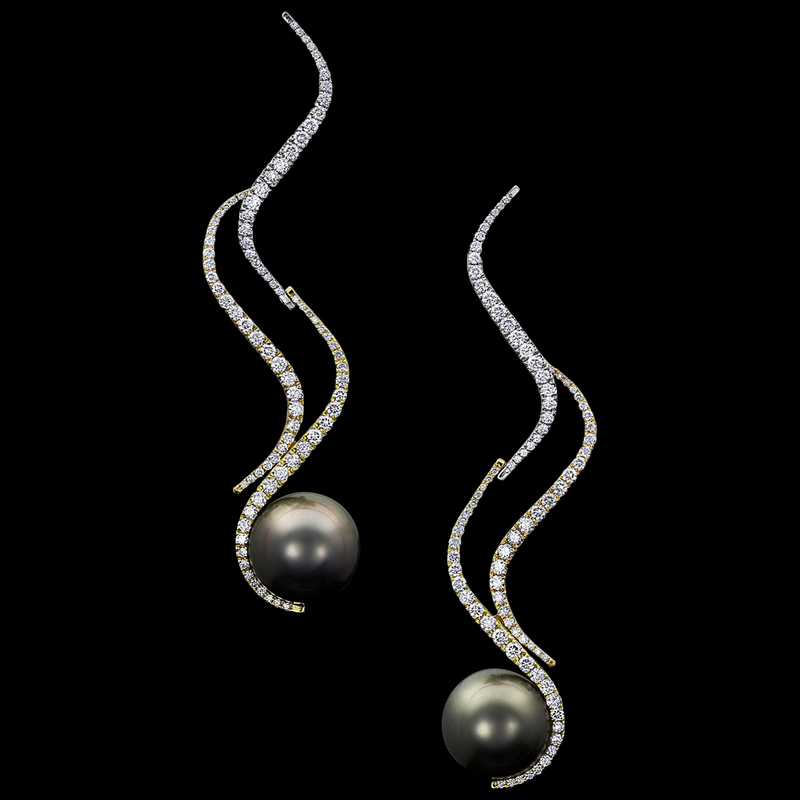 Trends of hair and dress have dramatically impacted contemporary earring style. When hats, high collars, or big hair was the fashion, earring style tended to favor diminutive earrings or bare ears. Conversely, when trend favored sleek hair or up-dos, bare necks, and generous necklines, the ear became a ready canvas for prominent earrings. Over time, European ear-decor became more common for women than men. Beginning in the 11th century, European fashions of hair and collars made earrings impractical. Then after almost 500 years of little attention, earrings enjoyed a surge in popularity in the 17th century. Styles en vogue at this time included colorful enamel-wear, faceted diamonds, and ribbons. 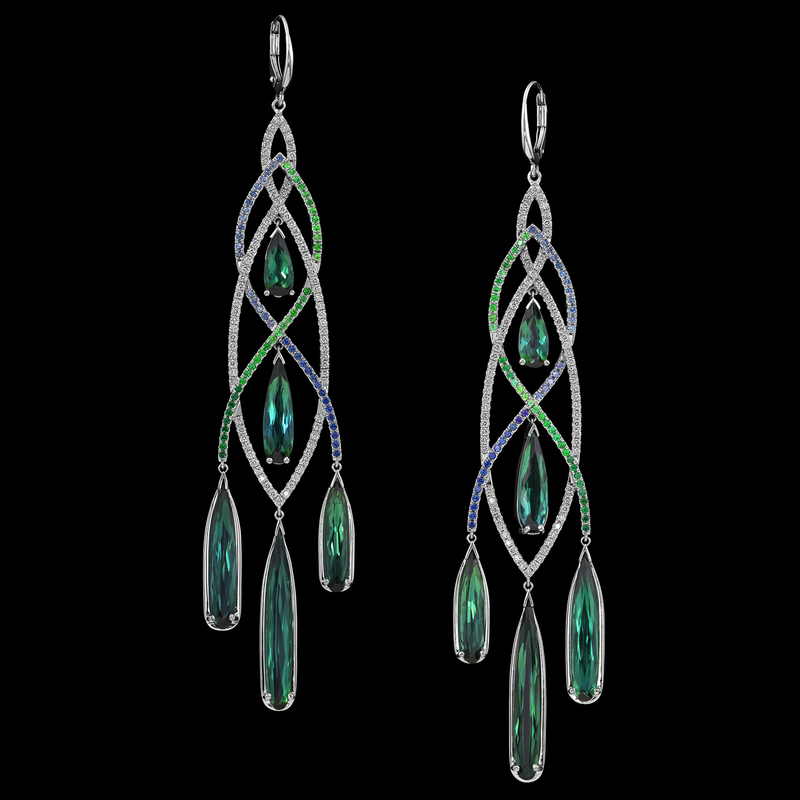 Over the next hundred years, earrings grew larger and more ornate. 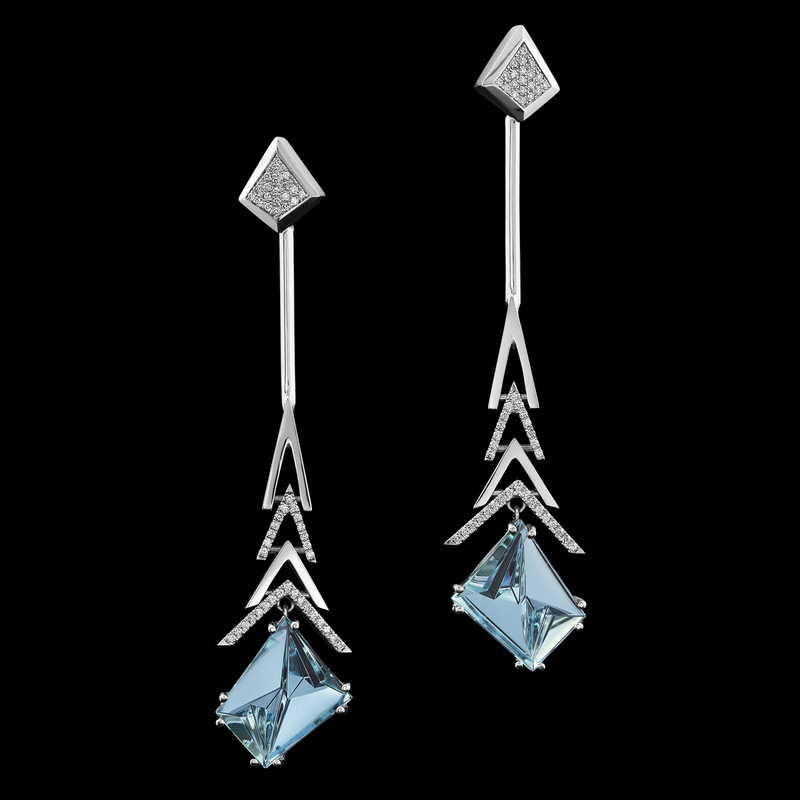 By the 18th century, earrings had surpassed all other jewelry in popularity and elaborate girandole (chandelier-shaped) and pendeloque (top cluster with one long pendant) designs ruled the day. 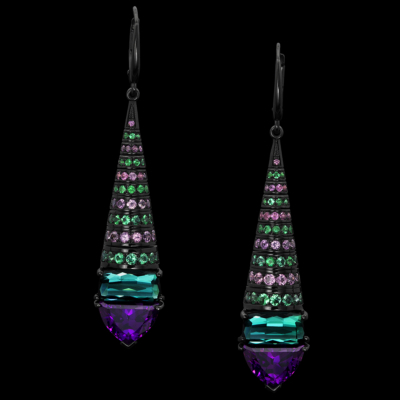 In the past hundred years, the beauty and variety of earring design has blossomed. In the 1920s, earring style became eclectic and international. Elaborate Gypsy and Spanish pendant-earrings, hoops, Egyptian-inspired shapes, and 19th-century antique pieces, were among the many ear trends that accompanied the bob hairstyle popular at that time. These days, designers draw inspiration from a rich history of tradition and design. As a member of the American Jewelry Design Council and Smithsonian-collected jeweler, Adam is honored to be one of the artists shaping the future of jewelry design. Gemstones fill every corner of a designer’s palette and inspiration seems limitless, in this Information Era. 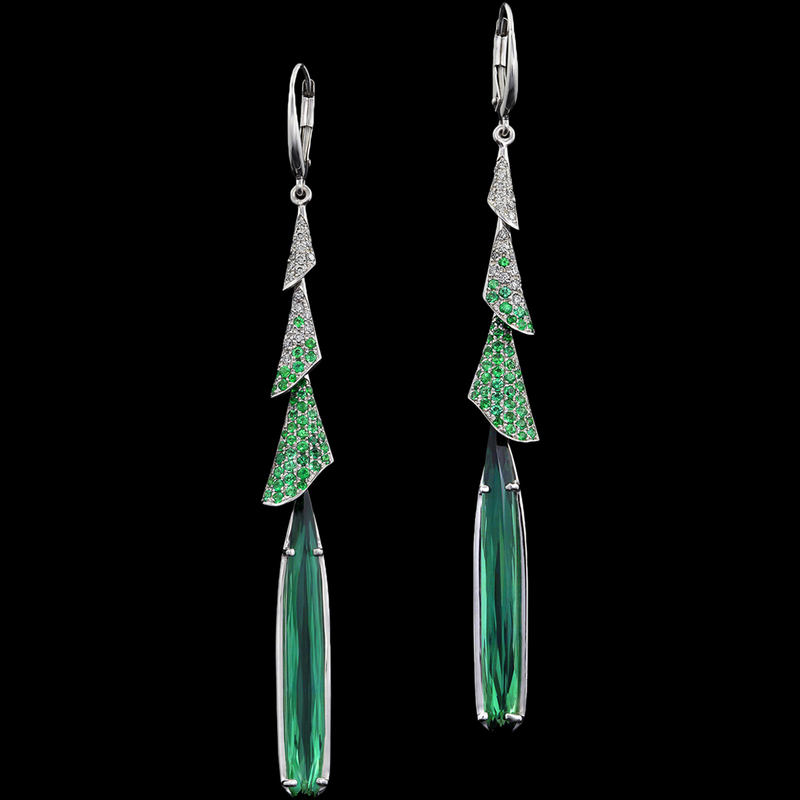 Trends Adam embraces include the revival of ornate pendant-styles of the 20s, like Asteria Earrings, as well as Girandole and Pendeloque styles first popularized in the 18th century, as seen in Emerald Chandelier and Night Lily. 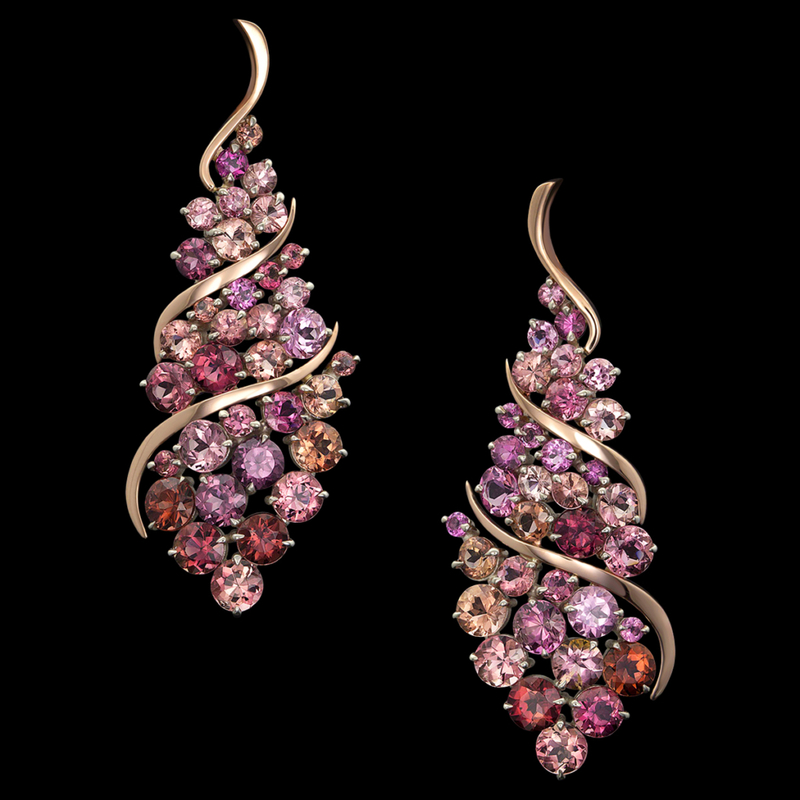 We invite you to see Adam’s latest one-of-a-kind earring designs by visiting our Couture page.